A federal judge has declared a mistrial in the case against Nevada rancher Cliven Bundy, saying U.S. prosecutors willfully withheld critical and “potentially exculpatory” evidence from the defense. Judge Gloria Navarro dismissed jurors Wednesday, several weeks after the trial began against Bundy, his sons Ammon and Ryan Bundy, and militia member Ryan Payne, who were accused of leading an armed standoff with federal land agents in 2014. Navarro cited five key pieces of information that prosecutors did not disclose: records about surveillance and snipers at the Bundy Ranch; unredacted FBI logs about activity at the ranch in the days around the standoff; threat assessments about the Bundys dating to 2012; and internal affairs reports about the BLM. Navarro methodically laid out her reasoning for about an hour, citing legal standards and case law, before delivering her ruling. She said the evidence that was withheld could have been favorable to the accused and could have affected the outcome of the case. Navarro stopped short of dismissing charges against the four men. It is unclear whether the case will be retried because Navarro did not rule whether the mistrial was with or without prejudice. 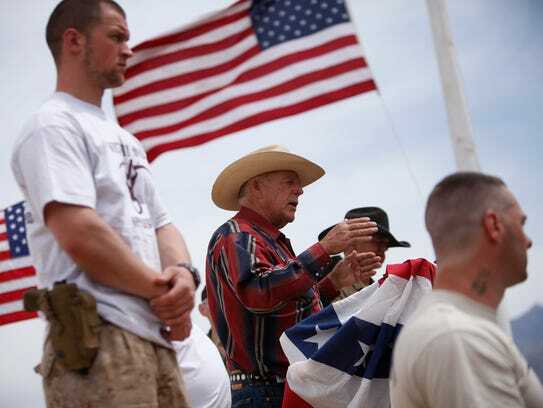 Documents turned over by the prosecution after the start of the trial indicated the FBI played an active role in the standoff and that surveillance cameras and armed tactical teams were positioned around the Bundy Ranch. Defense lawyers filed motions to dismiss the case, arguing the new documents provided critical evidence that would have allowed them to challenge the government’s charges, impeach government witnesses and lay the foundation for self-defense claims. Posted on December 20, 2017 December 20, 2017 by lvassemblyPosted in Current EventsTagged bundy ranch, trial.